How to create a stunning kitchen? 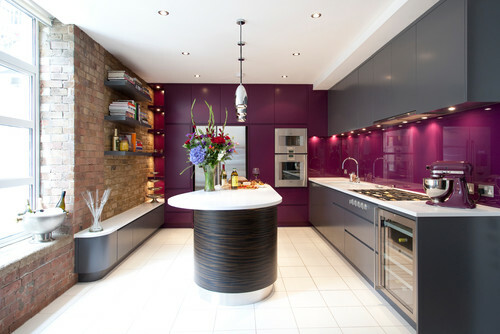 Top 5 kitchen splashbacks! Kitchen splashbacks can give a tired kitchen a lift or create a amazing impact. 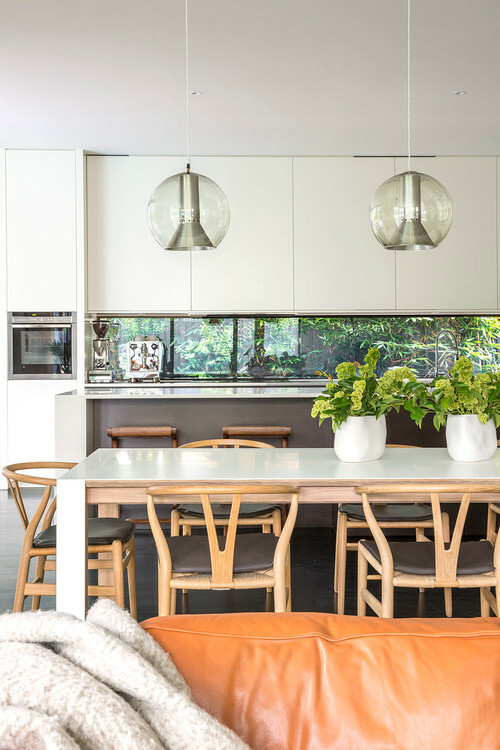 The kitchen is where your heart is and when you are building or renovating it can be one of the hardest rooms to design. There are so many new materials and designs that sometimes your head is spinning. If you want to keep your kitchen cupboards neutral then a splashback is a great way to create a impact. Before choosing your splashback it is recommended that you select all your other finishings including tiles, cupboard colours and your benchtop. Make sure you get samples and ask your kitchen shop for advice. They generally have interior designs on their staff. If you don’t like cleaning then make sure you select the right materials. There is nothing worse than seeing a dirty splash back with grease and food stuck to it. When choosing the splashback it will often be your budget that determines what you can afford. Tiling, windows, acrylic are a cheaper option with glass, marble, granite, mirrors generally at the top of the budget. Here are our top splashback trends. 1. Feature tiles are hot! 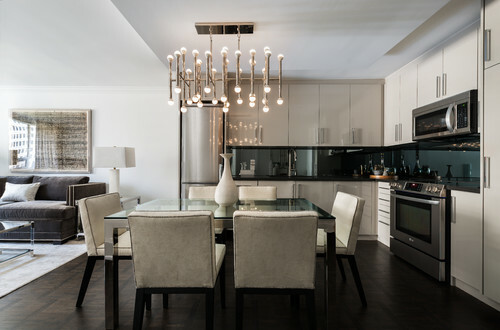 According to Houzz bold feature tiles are in. The bolder the better. 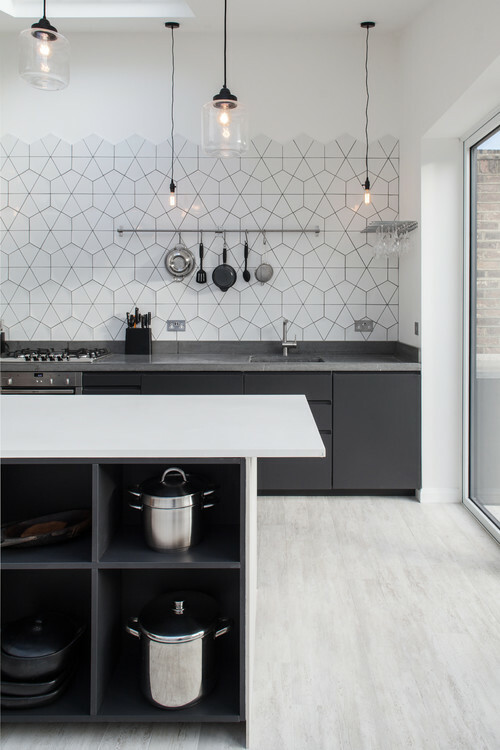 Subway tiles are a thing of the past with hexagons and designed shaped tiles making a come back. 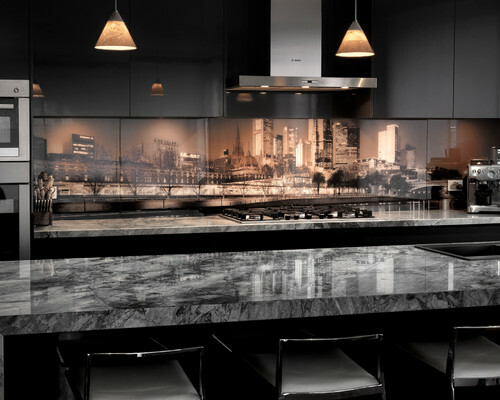 Check out Property Unravelled’s Pinterest for some great ideas to make a impact with your tiles splashbacks. A darker grout is better in a kitchen and if you are a clean freak then the bigger the tile then the less grout lines. If you are on a budget and love the look of a glass kitchen splashback then you can’t beat a acrylic look. However you do need to be careful as they can fade and scratch and are not heat resistant. They can come in panels and all different colours. You can even get a image or wall paper put underneath a clear one for an amazing effect. This is a great alternative to glass and great for that budget conscience renovation. These look amazing but on the pricey side. Glass is tough and does not scratch so they are extremely durable. The glass will also need to be toughened which is why they are expensive. They will require more cleaning but look stunning. 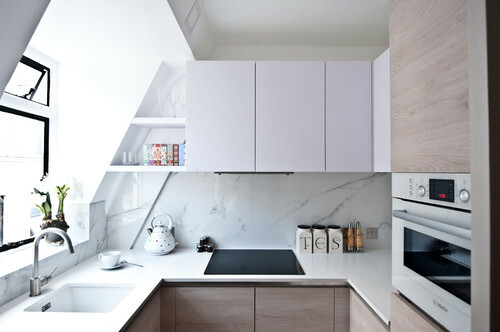 They create more space if your kitchen is small. A favourite of Property Unravelled is the window splashback. Even so we had one installed in our kitchen. Make sure the builder’s measure for the correct size window and depending where the window is you won’t be able to have a large rangehood as this will block the view in the window. Glass splashbacks look sleek and modern. They have no grout lines and are relatively easy to keep clean. They come in shiny, speckles and you can even have a LED light installed behind it to give it that designer look. Wallpaper and other images are also coming back in fashion that allows you to create artistic piece in your kitchen. Check out this kitchen splashback below. If you can afford it this looks amazing when you make the kitchen bench and the splashback out of the same materials. It creates a seamless look and you never know what colours you will end up as it every piece cut can be different. It does need to be cared for but with no grout it is easy to clean and look after. Splashbacks can make or break a kitchen but also require a practical role in our kitchen. They protect walls from heat, splashes and cooking grease. They also enhance the overall design of a kitchen. If you are using a kitchen designer they generally will carry samples of different products for you to choose. For a DIY renovator make sure you measure and check your measurements because if you get it wrong this can make or break your budget. how to actually handle this problem with all comfort. I learned from you. Many thanks for your usual terrific effort.